I've been pretty lazy the last several weeks, so I'm trying to get back in to doing exercise. Not for weight loss but to get my heart healthier. Plus I think some exercise will help with overall tension I carry in my shoulder, which just aggravates my muscles and gives me terrible headaches. 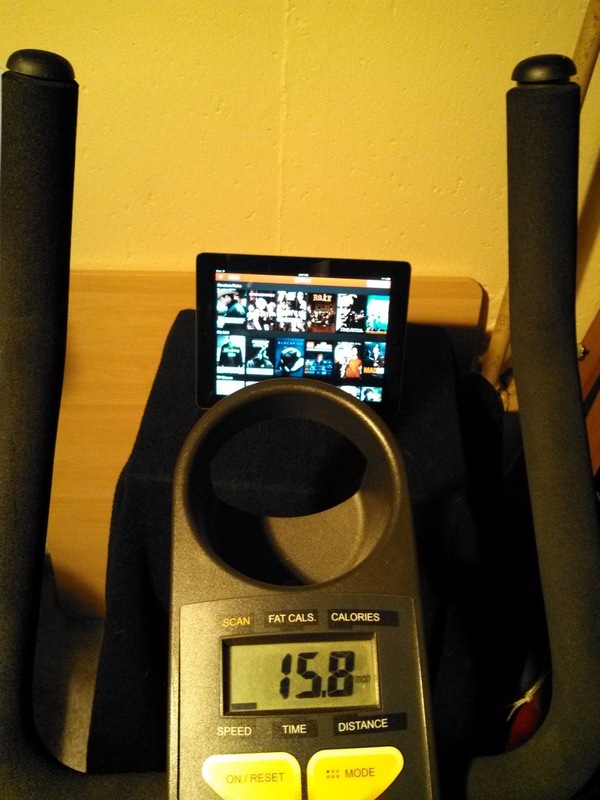 Anyway, Chris has a stationary bike, so I wandered into the cold basement and messed with that for a 40 minute episode on Netflix. Pay no attention to the speed in the photo. I absolutely was not going that fast most of the time. I still miss the Kinect though. Any day they'd like to send a replacement would be awesome.